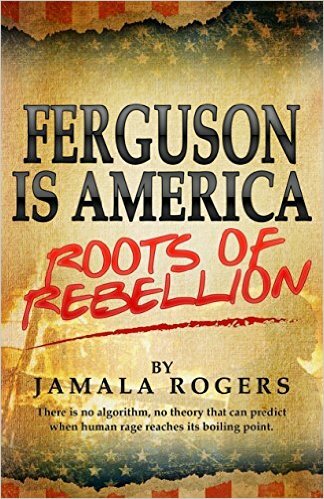 Check out this book by Jamala Rogers that takes a look at not only at the riots in Ferguson Missouri, but what led up to those tragic events. One year after Mike Brown was brutally killed by police: How will we make sure that Black lives matter? On August 9, 2014, Ferguson, St. Louis County, MO became the epicenter of a major political earthquake, shaking the core of how we see Black America, police and policing-jolting us into a new political normal. Jamala Rogers graduated from a Kansas City, MO high school in 1968, during a period of massive civil unrest -- hundreds of cities were engaged in open rebellion -- leading to significant political and cultural shifts nationwide. An activist since the 60's, Jamala has been called a radical and a revolutionary. In 1998, she, along with Angela Davis, Danny Glover and many others, hosted thousands at the founding convening of the Black Radical Congress (BRC) in Chicago, IL. Prior to the BRC Jamala co-founded the St. Louis-based Organization for Black Struggle (OBS) in 1980 and 35 years later continues to provide the organization leadership and mentoring.